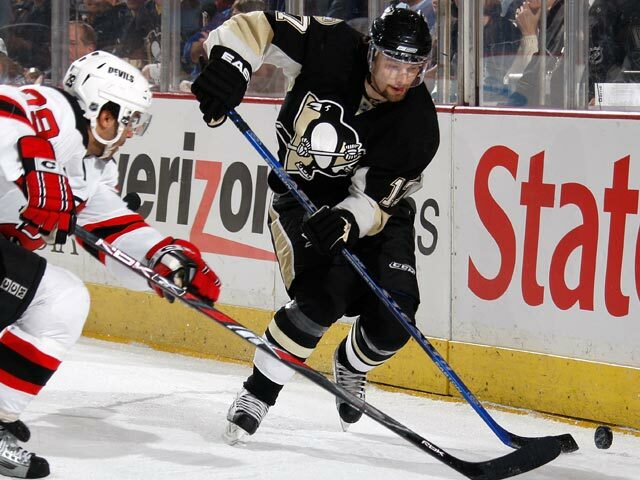 PITTSBURGH (AP) -The New Jersey Devils hadn't allowed more than five goals in a game this season. 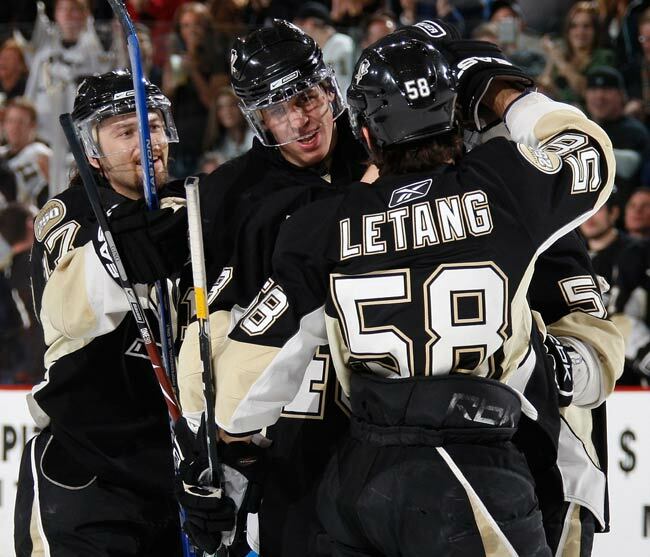 In a matchup of Atlantic Division leaders, the Pittsburgh Penguins touched them for five in the third period alone. "Right now, we're too worried about the result than about the process," New Jersey captain Jamie Langenbrunner said. "We're trying to score before we have the puck, trying to score while playing defense." Malone scored a power-play goal 3 minutes into the third when he deflected Sergei Gonchar's shot from the point out of the air while standing in the high slot. Dupuis scored less than 2 minutes later to make it 4-1.